Regardless of the business that you are in, keeping track of customers and future prospects is very important. One of the best ways to do this is by using a CRM software. 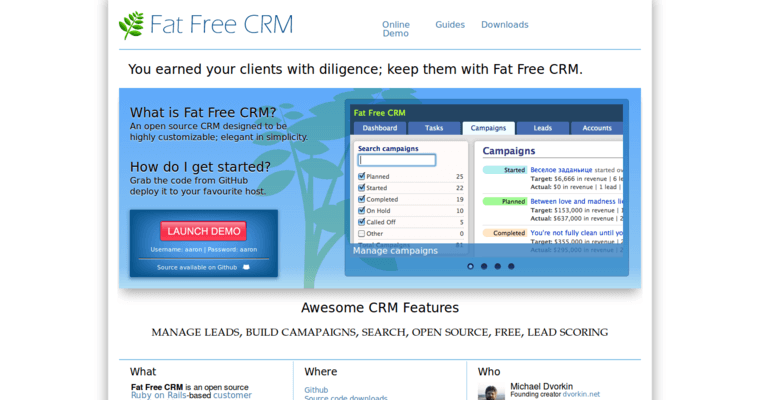 One of the top CRM softwares available today is the software provided by Fat Free CRM. 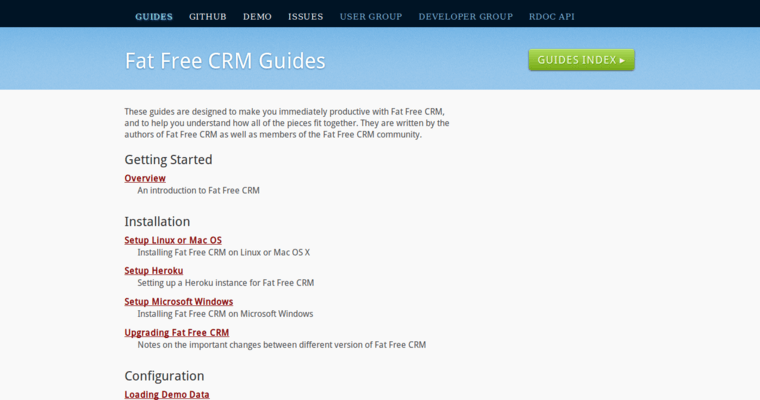 Fat Free CRM uses a Ruby on Rails-based CRM software, which can help you a number of different ways. First, the software is available for use over the Cloud, which makes it easy to access from any point in the world. This makes it easy for those with access to upload new data immediately and quickly. Another advantage of it is the number of reports that it can provide to you. The software is well known for providing you with a number of analytical reports, which can then be used to make better business decisions about how to proceed with a certain client.